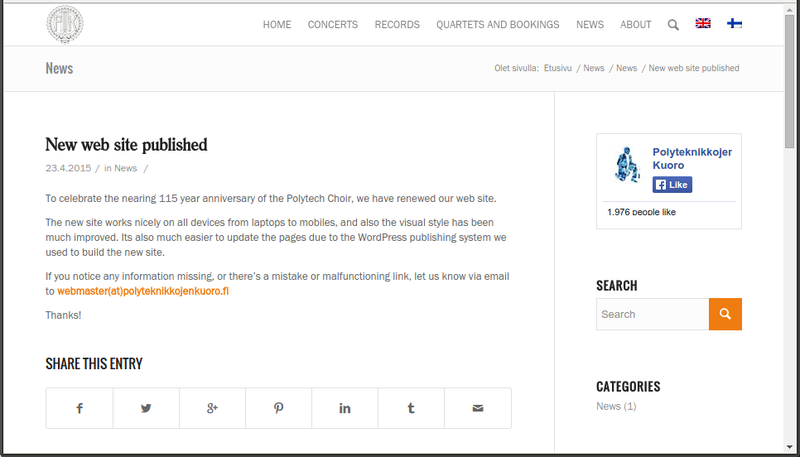 To celebrate the nearing 115 year anniversary of the Polytech Choir, we have renewed our web site. The new site works nicely on all devices from laptops to mobiles, and also the visual style has been much improved. Its also much easier to update the pages due to the WordPress publishing system we used to build the new site.